More and more therapists are describing themselves as “trauma-informed” or “experienced in trauma care”—but what does that mean, and how can trauma-informed care (TIC) benefit those of us seeking treatment? 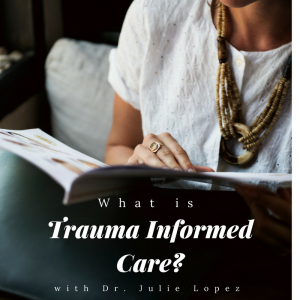 Dr. Julie Lopez, the leader of the Viva Center’s Trauma Informed Clinical Practice Certificate Program, helps us break down how TIC can affect your wellness journey and how to tell a genuine TIC practitioner from an unqualified one. Putting it more simply, Dr. Lopez describes trauma as “distress,” with each person’s trauma reaction being the way that their distress is processed in the human system. Organizations like SAMHSA often focus on what Dr. Lopez refers to as “Big T” trauma—real or perceived threats to existence like abuse, natural disasters, community violence, or forced displacement. Yet it’s also important to acknowledge “Little t” trauma, which encompasses “life’s disappointments, hurts, and imperfections.” A few examples of “Little t” trauma might be a difficult (but not abusive) breakup, a public humiliation, or an instance of academic failure. Both “Big T” and “Little t” trauma can have serious effects on our behavior and physical health, leading to mental health concerns like substance abuse, PTSD, and, depression, and chronic health conditions like diabetes and cardiovascular disease. Those are just a few reasons why it’s important that those recovering from trauma receive treatment from someone trained in that area. 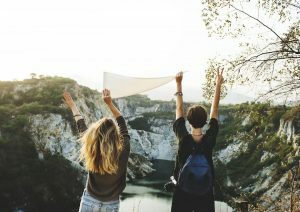 As stated by the Trauma Informed Care Project, TIC is rooted in “understanding, recognizing, and responding to the effects of all types of trauma.” Its goals involved educating communities and individuals about the impact of trauma and helping to empower trauma survivors. 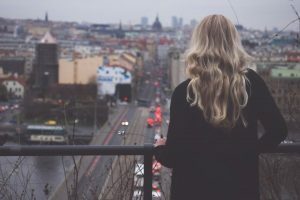 One of the most integral aspects of TIC is the understanding that our emotional, physical, and psychological responses to trauma are normal—even adaptable. For example, an individual might have learned to be hypersensitive to the moods of an abuser to avoid being hurt. That hypersensitivity may have manifested in hypervigilant behavior, signs of gastrointestinal distress when a situation felt “risky,” or myriad other symptoms. Those symptoms, while perhaps harmful now, made sense in the individual’s former, abusive environment—they were survival mechanisms, which developed to manage a specific threat. Knowing that our trauma responses developed to help us survive, TIC practitioners look to resolve the root causes of those responses rather than the responses themselves. In other words, TIC hones in on the source of a person’s symptoms (fear of violence, fear of abandonment, etc) rather than the symptoms themselves (headaches, depression, substance abuse, etc). This allows for a more thorough and efficient treatment process. Ultimately, TIC is an empowerment paradigm. It aims not only to destigmatize trauma responses, but to show us how those responses are actually evidence of our incredible, survival-focused system. Our trauma responses developed to help us survive a distressing experience. We may no longer need them, but we can change our behavior while honoring the safety and benefits those responses once provided for us. Psychology Today has gone as far as to deem TIC “necessary for healthcare providers,” as it enables clinicians to better understand the aforementioned trauma-trauma response relationship. For example, a trauma-informed therapist will have been extensively educated on the connection between traumatic experiences and compulsive behaviors (like substance use or shopping addictions), and will therefore be in a better position to normalize and work through these behaviors with their client. Dr. Lopez shares this view, which is why she requires all Viva Center therapists to undergo TIC training before seeing clients. How Can I Tell if My Provider is Trained in TIC? Many therapists claim to be trained in TIC, but it’s important to verify just what their credentials are. For example, one therapist may undergo a yearlong training program, completing weekly assignments and engaging in in-depth research, while another might attend a two-hour lecture about treating survivors of trauma. Their levels of expertise will be drastically different, yet they might both list “trauma informed” on their resumes. When seeking a therapist, consider asking them directly about their experience working with trauma. What sort of trainings did they undergo, and for how many hours? Have they been trained in cultural, historical, and gendered issues, examining how factors like income, race, sexual orientation, and more might relate to a person’s experience of trauma? 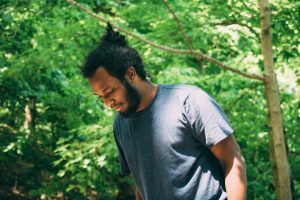 Do they have relationships or experience working with local crisis centers and other organizations that directly support traumatized individuals? You can also trust your gut when it comes to whether your provider is capable of supporting you in the way that you need. Do you feel judged, disempowered, or less sure of yourself after discussing your trauma with them? Those are all red flags that might signal that your current situation isn’t a good fit. You deserve to have your trauma understood, and to see a therapist who is fully educated on how to properly treat you. If you have any further questions on TIC or your personal recovery journey, feel free to email us at lilly@vivapartnership.com. Our therapists are always happy to support you.